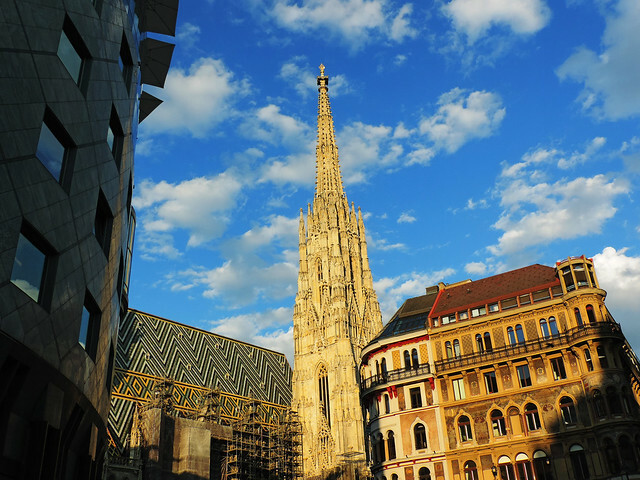 We’ve already dedicated a sort of love letter to Vienna, our eternal favorite city in Europe. Now this post will be less passionate and more useful. 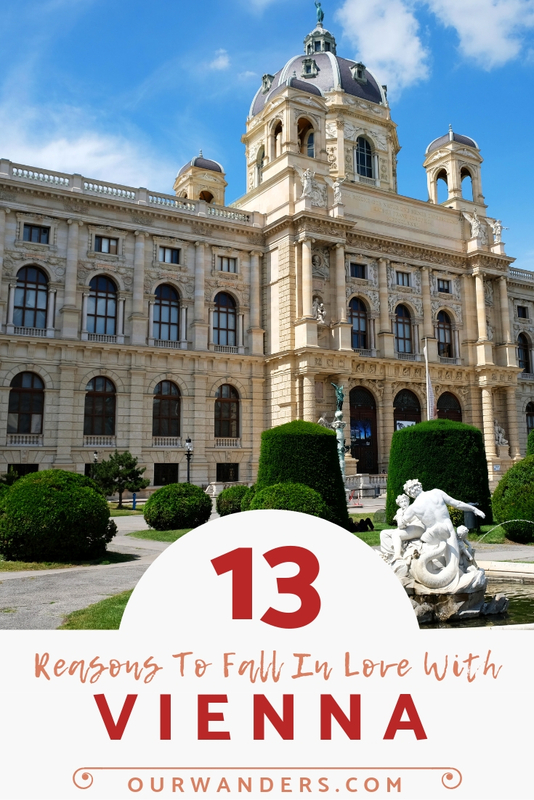 Because we want you to fall in love with Vienna, too. At least, give it a chance. So here are our reasons why Vienna deserves your love. 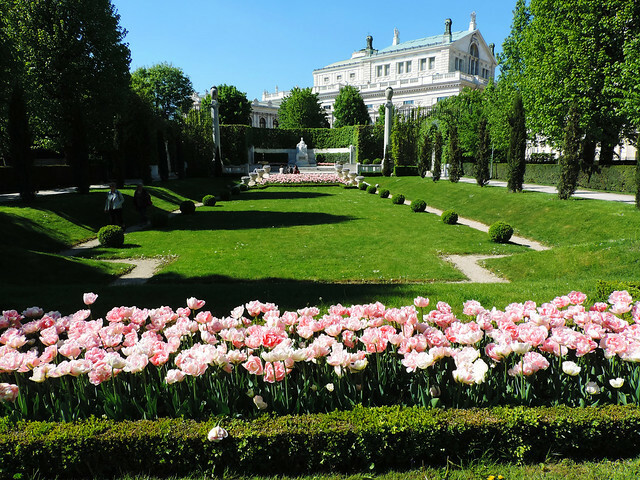 Vienna has three impressive palaces but the most majestic one is Schönbrunn. 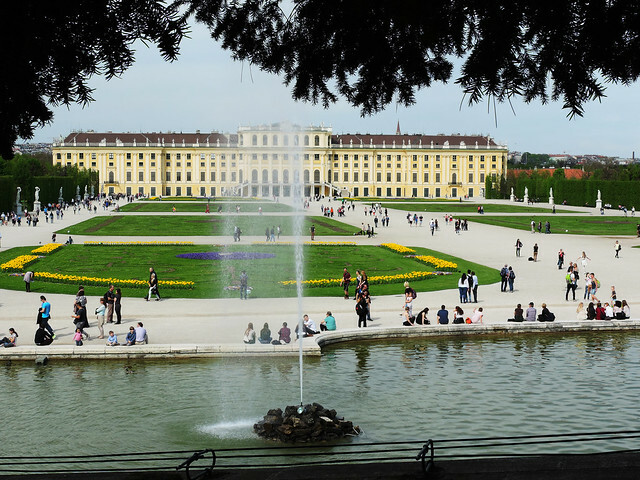 Just to give you a hint about its size Schönbrunn Palace has 1000+ rooms and there’s a zoo with more than 500 animal species in a corner of its huge garden. But it’s not just about the size, Schönbrunn is gorgeous! Its countless rooms are beautifully furnished and richly decorated and its garden is full of fountains and romantic tree tunnels. While Schönbrunn was the imperial summer residence Hofburg was the winter residence. 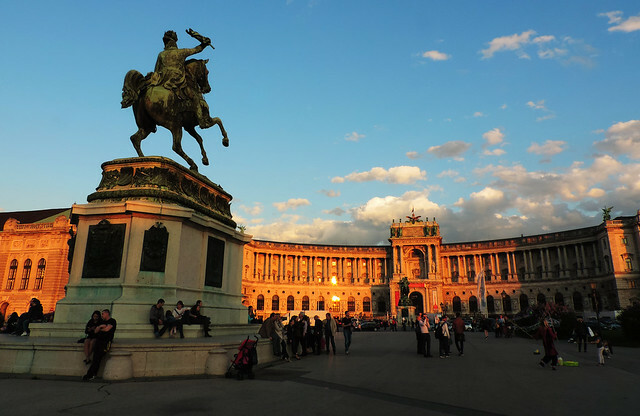 It’s located in the heart of Vienna and it offers insight into the amazing imperial apartments, the treasury, the Sisi Museum and into the history of the Austro-Hungarian Empire. We especially enjoyed the Sisi Museum. Sisi was a Bavarian princess who became the Empress of the Austro-Hungarian Empire at the age of sixteen as the wife of Franz Josep I. She is said to be the most beautiful and probably one of the most unhappy women of her time. This museum focuses on her life and her character and it’s definitely not an ordinary history museum. 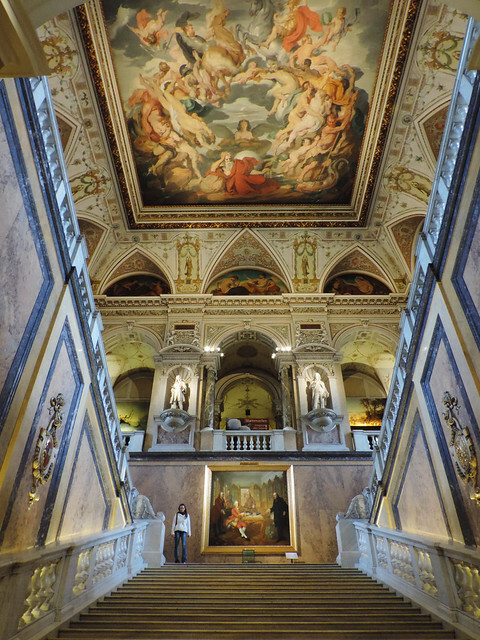 The third pretty palace in Vienna is Belvedere. 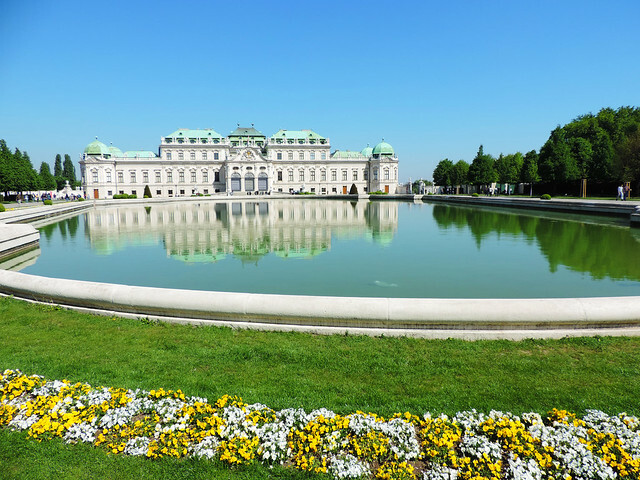 Actually, it’s two palaces because the Belvedere building complex consists of two Baroque palaces, the Upper and Lower Belvedere. They are recognized as a UNESCO World Heritage Site as one of the most unique Baroque landmarks in Europe. And let’s not forget about the stunning garden! 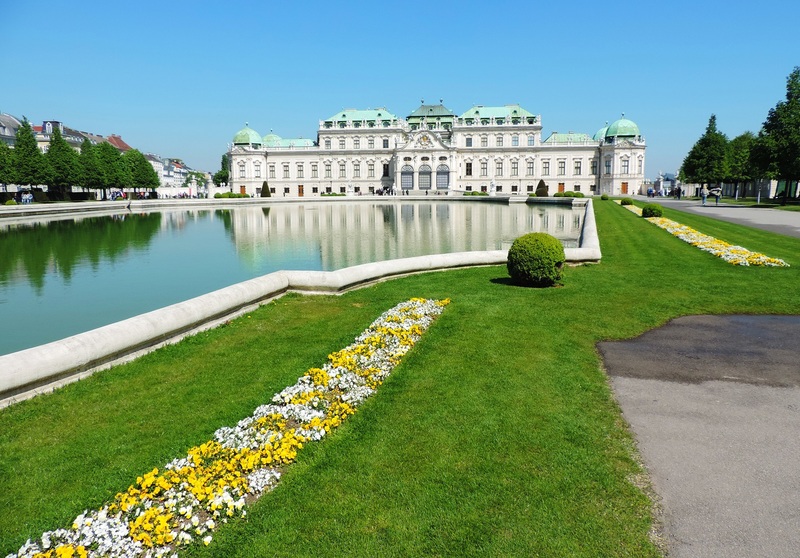 Belvedere Palace is not furnished but it can definitely be visited! It houses a huge art collection from the Middle Ages to the present day. 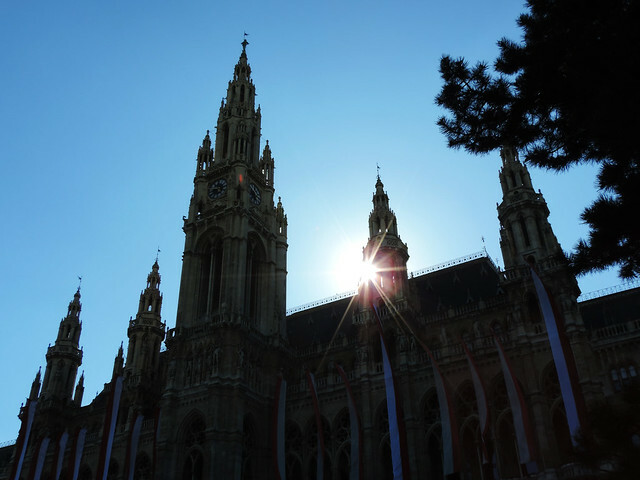 If you ask us which is the most beautiful city hall we’ve ever seen the answer is Vienna City Hall (or Wiener Rathaus in German). Okay, there’s a strong competition here with the wonderful Basel Town Hall. But when we see the magnificent Neo-Gothic building of Vienna City Hall lit up as the background of the Christmas market on Rathausplatz then nothing else has a chance to compete with it. 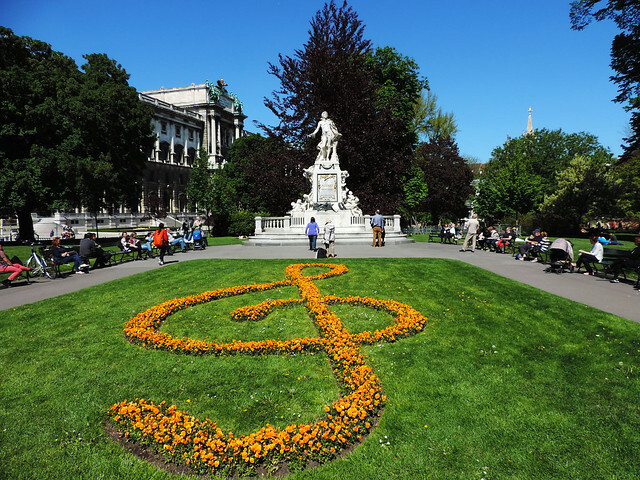 Karlsplatz is a picturesque square in Vienna’s center. And it’s one of our favorite things to hang out at the reflection pool in front of Karlskirche on a sunny day, preferably with an ice-cream in hand. 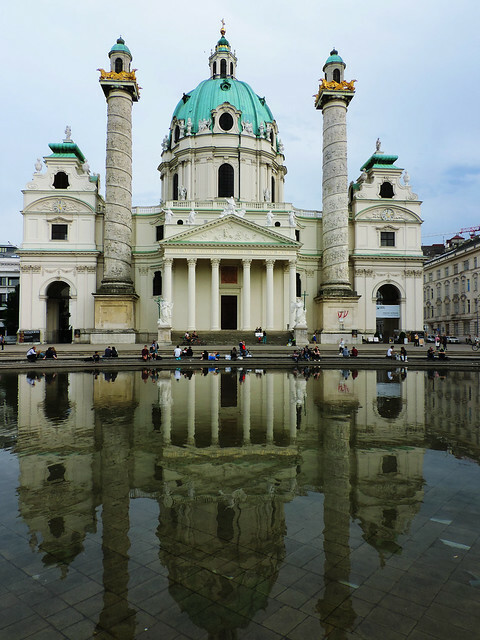 Karlskirche (St. Charles’s Church in English) really deserves a closer look by the way because it’s the most outstanding Baroque church in Vienna. Stephansdom (St. Stephen’s Cathedral) is Vienna’s largest church and one of the city’s symbols. This Romanesque and Gothic church with its richly coloured roof and incredible size took our breath away especially when we entered its giant interior. There’s two museums facing each other on the lovely Maria-Theresien-Platz. 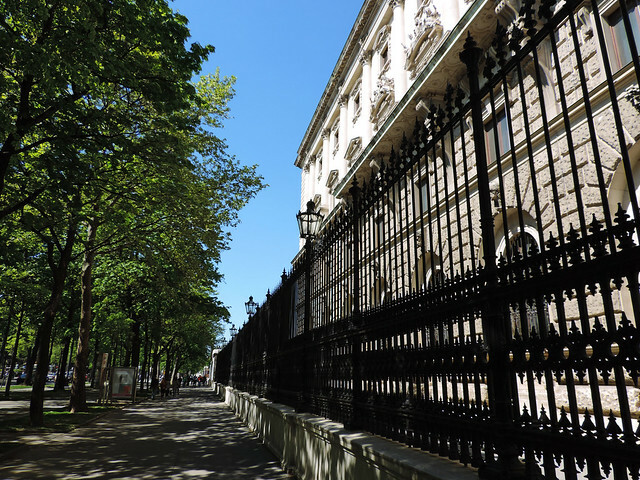 They look exactly the same and they were originally built to house huge scientific and art collections of the Habsburgs. Today one is the Naturhistorisches Museum (Museum of Natural History), the other is the Kunsthistorisches Museum (Museum of Fine Arts). If you read this blog for a while you know how much we love natural history museums. Of course, we had to visit the one in Vienna. And that visit ended up to be whole day long. The museum hosts exhibitions in a huge variety of topics so that we even had to narrow them down to finish before closure. Dinosaurs, galaxy and evolution were our favorites. In addition the interior of this museum made us feel that we are in a palace! Schönbrunn Zoo is the oldest zoo in the world still in existence and it’s part of the UNESCO World Heritage Site Schönbrunn. But another fact made us even more excited to visit this zoo: some giant pandas call it their home! We love being out in the wild and observing animals in their natural habitat whenever we can. But it’s not so easy in many cases – like in the case of giant pandas. Or koalas. 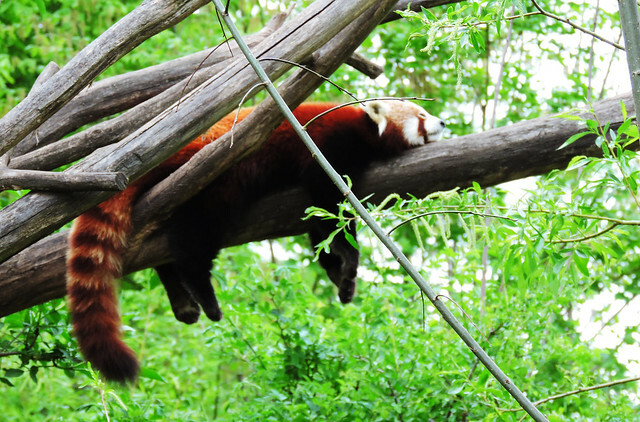 Or red pandas. Or polar bears. Or penguins. Or cheetahs. These are just some of the 500+ animal species that can be seen in Schönbrunn Zoo. City parks are lovely places to hang out and Vienna is lucky to have several captivating one. Volksgarten, Heldenplatz and Burggarten are right next to Hofburg. And let’s not forget about Rathausplatz and the castle gardens of Schönbrunn and Belvedere. All of these parks are full of statues and fountains and also colorful flowers in the summer season. We usually like exploring cities on foot because that’s what brings them close to us. 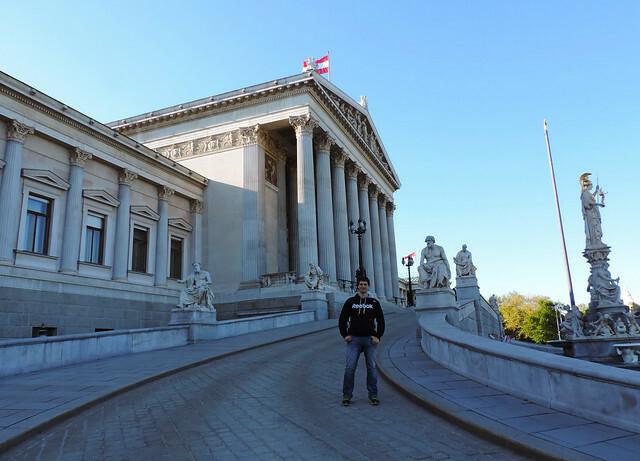 We’ve strolled through many areas of Vienna several times by now and we still couldn’t get enough of it! It’s not just a wonderful liveable city with lots of parks and fountains but it spoils us with fascinating architecture at every corner. The 5 kilometres long Ring Road is full of impressive buildings from the 19th century – like the State Opera (Neo-Renaissance), the City Hall (Neo-Gothic), the Austrian Parliament, the Burgtheater (Neo-Baroque), the Museum for Applied Art, the twin buildings of Naturhistorisches Museum and Kunsthistorisches Museum (Neo-Renaissance) or the Votive Church (Neo-Gothic). Historic buildings and modern architecture blend together to create a unique atmosphere – like the Gothic church of Stephansdom facing the modern, glass-and-steel Haas Haus building. Another popular piece of modern art is the Hundertwasserhaus. Gosh, even tube stations are built in art deco style! 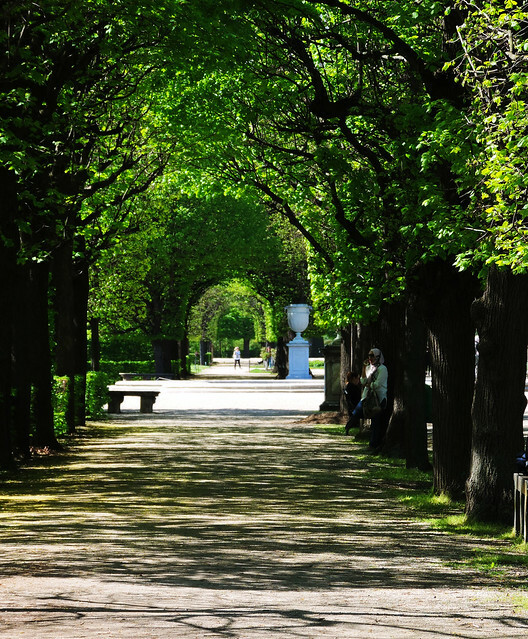 So with all the fabulous buildings, fairytale gardens and parks and the charming Kärntner Strasse Vienna is a perfect place for romantic walks. Period. 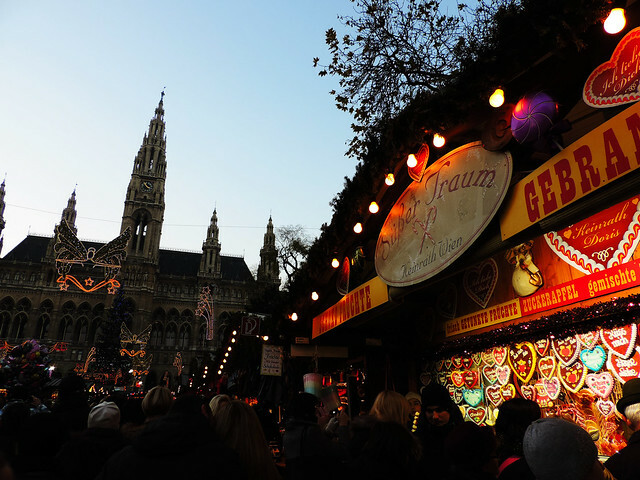 Last but not least Vienna’s annual Christmas market is magical! The whole city center is decorated and different Christmas markets can be found on Rathausplatz, on Stephansplatz, on Maria-Theresien-Platz, at Schönbrunn, at Belvedere and on Karlsplatz. There’s people and Christmas punch everywhere. And there’s one good thing about short winter days: it gets dark sooner and that’s when this Christmas vibe really rocks. Have you ever been to Vienna? Which city is your eternal love?